Vision for Chile Update 2. October 15, 2012 Our team has grown from 8 to 12—yippeeee!!! 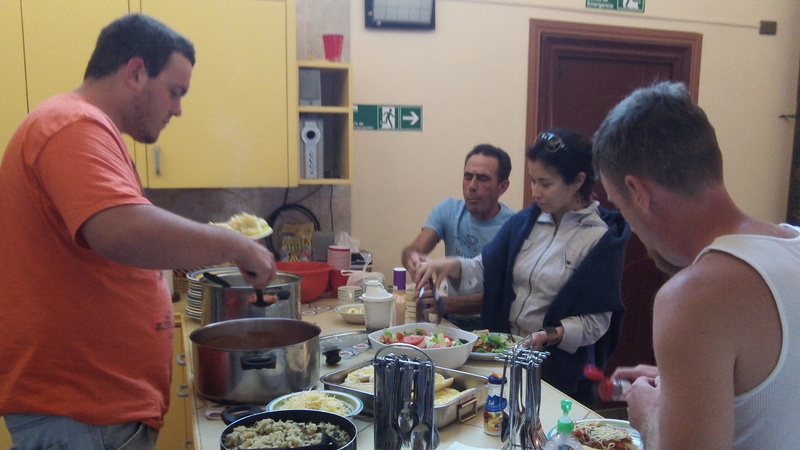 October 11: Last Thursday Bety arrived to help out in the kitchen—a blessing to our cook, Debby (and the current writer of this update post!). Thursday evening was a great time as we were introduced to the feeding program that is hosted by one of our neighbors. Many street children who live in shanties in the area come to this family’s home for a hot meal, Bible stories, songs, games and much love. They had even prepared a program for us! October 12-13: Friday was a typical workday as well as making sure we were prepared for a BIG day on Saturday. And what a day it was! The House of Hope was delighted to host over 50 volunteers who came to help with two separate ministries! 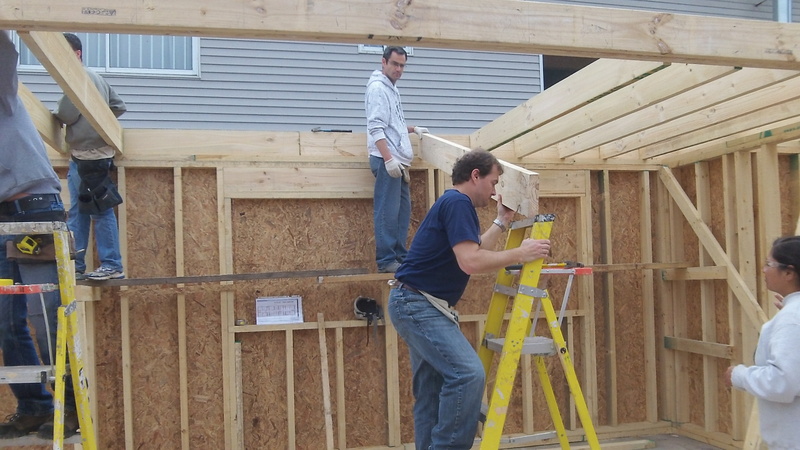 About half of the volunteers could be found out on the worksite swinging hammers and carrying many, many, MANY, stacks of lumber and sheets of plywood. 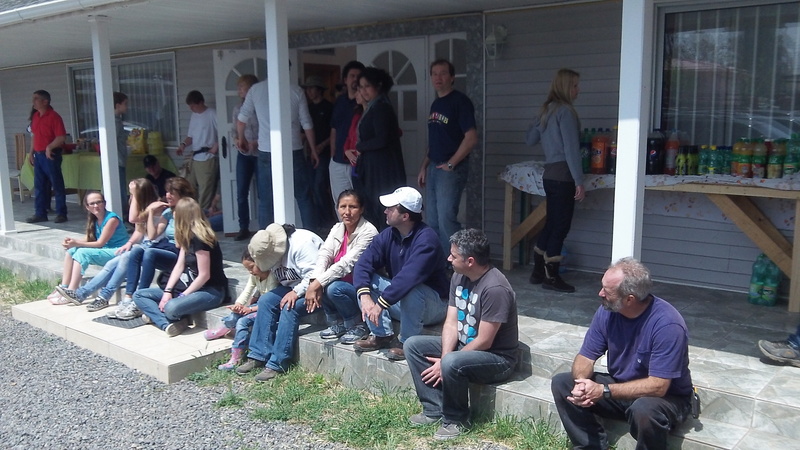 The remaining group went to share with the street children at Las Parcelas. We all met back together here at the House of Hope to celebrate our time together with much food and laughter. We are so appreciative of all the helping hands who made it possible to accomplish so much! October 14: Much to our surprise, we heard a horn honking at the gate early Sunday morning and what to our wondering eyes should appear, but Kerry and his buddies from New York. We happily welcomed David and John (along with Kerry) and then enjoyed the Sunday morning worship at the Alliance church next door. Although we can’t understand the words that Pastor Er preaches, God’s love shines out of him like a beacon. Praise God that men like this pastor are faithfully preaching God’s word here in this community. Sunday afternoon was spent on the bus eating Nellie’s empanadas, walking down the streets of Pomaire and having a typical Chilean meal there before heading back home. October 15: Which brings us back to today! The floor of the second floor is over halfway completed; the temporary stairs to the second floor are done. And so the hammering, board carrying, sawing, etc. continue. And so does the cooking and eating! Thank you for your prayers! So far, no injuries more serious than scraped knuckles, sore backs, and a few blisters PLUS the weather has been great. Do continue your prayers—especially for our relationships with our Chilean brothers and sisters.